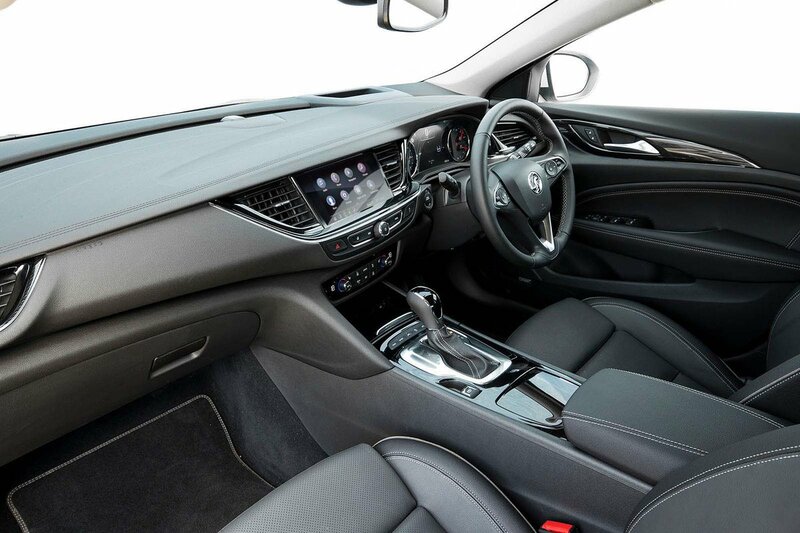 Vauxhall Insignia Sports Tourer Interior, Sat Nav, Dashboard | What Car? Even the seats fitted to the entry-level Design models are pretty comfortable, but we’d suggest moving up to Tech Line Nav trim for a greater range of adjustment that includes lumbar and seat-squab tilt for better thigh support. And, thanks to plenty of steering wheel height and reach adjustment on all models, you’ll be able to find a comfortable seating position. Once in place, you’ll discover that the gearlever falls easily to hand and the major controls are just as conveniently located. We doubt you’ll find any issue with the view forward past the Insignia Sports Tourer’s fairly slim windscreen pillars. Looking over your shoulder, things aren't quite as good, due to relatively thick rear pillars. If you take our advice and opt for the Tech Line Nav (or SRi) model, at least you’ll get the help of standard-fit front and rear parking sensors. For anybody still worried about parking what is a comparatively large car, a rear-view camera and a 360deg panoramic view system are optional on all trims. You might also want to consider the powerful adaptive LED headlights (standard on top trims) to take the stress out of driving at night, and blindspot monitoring, which is an option on most trim levels. All models have a 7.0in colour touchscreen as standard – the top two trims upgrade this to Multimedia Navi Pro with European mapping and an 8.0in screen. Apple CarPlay and Android Auto smartphone mirroring are standard, allowing you to control certain phone functions through the infotainment screen. When you operate the touchscreen, you’ll find the on-screen icons are mostly large and easy to hit, the menus responsive and simple enough to figure out. Admittedly, it’s not as slick as systems in premium-brand cars, but it’s not far off the usability of Volkswagen Group offerings, as fitted to rivals such as the Passat and Skoda Superb. All versions get a USB port in the front and all bar the lowest trim have two outlets in the rear. 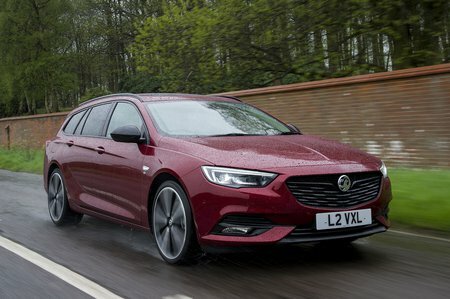 Vauxhall claims that the current Insignia Sports Tourer feels more "premium" than ever – a statement that is largely borne out. Okay, the indicator and wiper stalks feel rather flimsy, but elsewhere there’s soft-touch plastic placed strategically in the areas you touch regularly and flashes of chrome that catch the eye, making the interior feel sufficiently plush. There are some scratchy surfaces lower down, but we’d argue that it’s still a far nicer place to sit than a Ford Mondeo, if a little bit behind the Superb for perceived quality.